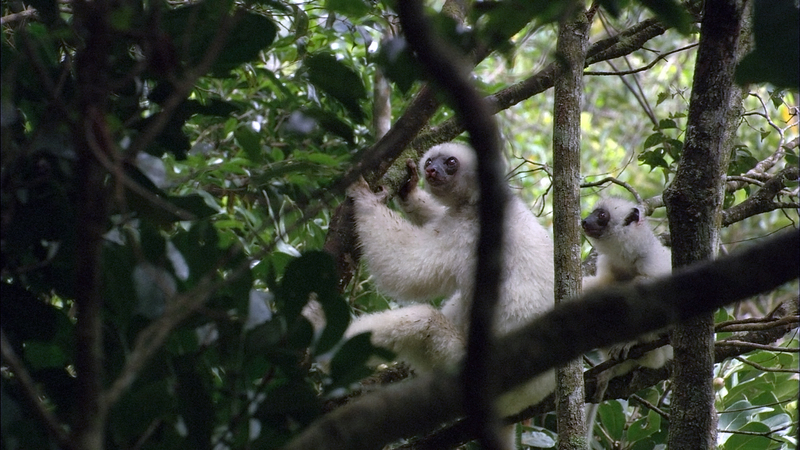 A few years ago, Earth Touch cameras followed primatologist Erik Patel and his team into the wilds of northeastern Madagascar to document his fieldwork on the rare silky sifaka, a large, white lemur restricted to a small range in the primary rainforests of the island's rugged massifs. The resulting documentary, Trouble in Lemur Land, showcases some of the very best footage ever captured of these elusive primates, less than 2,000 of which still survive on the island. Silky sifakas are notable for their frosty coats and big-eyed faces that lighten to pink as the lemurs grow older. 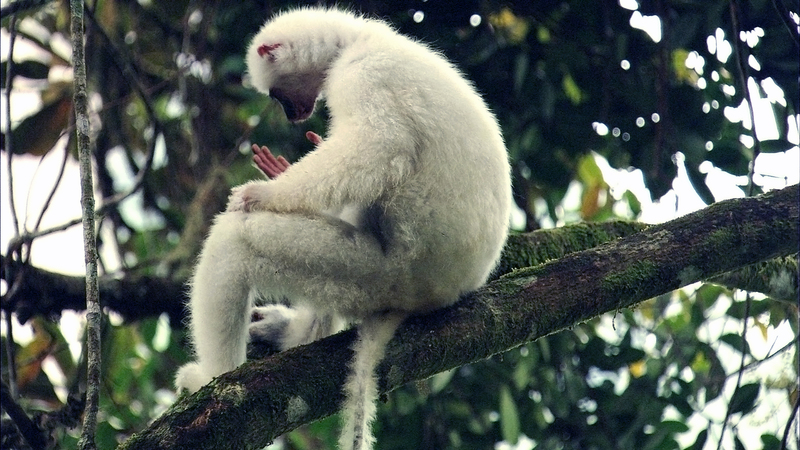 "Although not albinos, they are a leucistic species, exhibiting more skin depigmentation with age than perhaps any other primate," Patel says. Known locally as the simpona, silky sifaka lemurs are among the rarest mammals on earth. And that's not where the distinctiveness ends. The sifakas – which typically live in small groups of a few adults and several juveniles – are also notable among primates for their high level of "alloparenting", the practice of communal care for infants. "Silky moms have even been observed to share milk with infants of other mothers," Patel says (an example of "allonursing"). The documentary is partly the saga of two mothers in his study group: one experienced, the other less so. Silkies feed on the leaves of more than a hundred species of plants, a folivorous menu the lemurs seasonally spice up with flowers, fruits and seeds. That complex and specialised diet means they've never been successfully kept in zoos: a roadblock to would-be captive-breeding programmes. Naturally, these far-leaping ghosts of the high rainforest depend on the canopy for more than just sustenance: rainforest trees also serve as sifaka highways and shelters. As Trouble in Lemur Land notes, silkies ascend to the very loftiest treetops to sleep, relying on the brittleness of the uppermost branches to protect them from the fossa: a nimble, cat-like hunter that (aside from humans) is their only known predator. It's a simple and stark equation: no trees, no silky sifakas. And, sadly, trees have been under siege in Madagascar for years, due to demand for both cultivated land and for particular tropical hardwoods with huge commercial value. A number of much-prized species – among them Madagascar rosewood, palissandre (a rosewood relative) and ebony – grow in the silkies' rainforests, and Trouble in Lemur Land shows the heavy impact on ecosystems as the big, lucrative boles are extracted: many surrounding trees are cut down in the process of felling and bucking trunks, and loggers must drag the timber out of the roadless forest by gruntwork alone – ultimately to rivers where logs are boated to coastal ports. Silkies inhabit the highest elevations known of any sifaka: they range up to 1,875 metres (6,150 feet) in the mountains of Marojejy National Park. Recently, Patel updated us on some of the developments that have taken place since Trouble in Lemur Land first aired. Illegal logging in Marojejy and elsewhere was rampant then, partly because a 2009 coup had ushered in a period of lax enforcement. 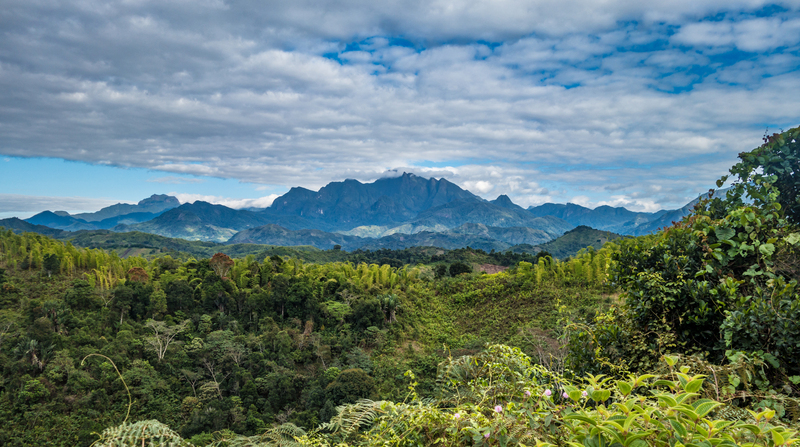 Despite a government ban on timber exports, loggers brazenly operated in Marojejy as well as Masaola National Park (Madagascar's biggest), funded by organised-crime syndicates profiting from the global appetite for rosewoods and ebony. Most of the wood was destined for the Chinese furniture market, with a smaller share going to American and European luthiers. Patel says there's been a bit more of a crackdown on the illegal logging industry since. "This seems to be due both to improved monitoring and enforcement as a result of the political stability once the coup ended and an elected president took office at the start of 2013," he notes. The resulting resumption of foreign aid has also had an impact. Patel notes illegal logging hasn't occurred in Marojejy National Park in several years, though it's still an issue in Masaola, partly because that park's proximity to the coast makes extracting timber easier. (Masaola doesn't fall within silky-sifaka range, though it harbours an impressive roster of other lemur species.) In 2012, the American guitar-maker Gibson settled with the US Fish & Wildlife Service over its use of black-market ebony from Madagascar (including Masaola), a practice Patel stresses wasn't limited to Gibson. But sale of ebony and rosewoods to guitar companies and other secondary customers never approached the magnitude of demand from furniture-makers in China, which Patel says now accounts for virtually all of the underground timber trade facilitated by Chinese and Malagasy mafias. Marojejy National Park in northeastern Madagascar is one of the last strongholds for silky sifakas. Even though criminal commercial logging has ebbed in Marojejy, Patel says other human disturbance still threatens silkies in their range, including the slash-and-burn agriculture ("tavy") spotlighted in Trouble in Lemur Land, as well as subsistence wood-cutting and small-scale artisanal mining. One big associated problem with logging is that timber-harvesters hunt bushmeat – often lemurs – for fodder. The primates are a Madagascar delicacy beyond logging camps as well; some species are sold in captivity not just as pets, but also as food. Patel notes silky sifakas are vulnerable in this regard because they aren't protected by any local taboo ("fady"). Amid these complicated conservation challenges, Patel and his team continue to closely study silkies to better understand their social dynamics, habitat requirements and geographic distribution. Since last year, that research has been supported by the Lemur Conservation Foundation, where Patel serves as conservation programme director. 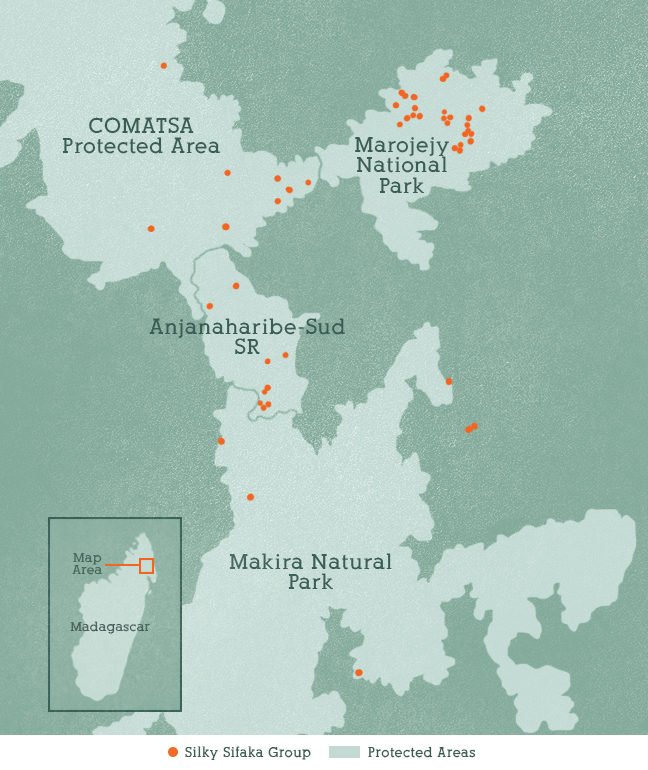 The Foundation runs a number of community-based conservation initiatives in villages near Marojejy as well as Anjanaharibe-Sud Special Reserve, another protected area hosting silkies. "Currently, we are conducting ... surveys to improve our population size estimates, as well as establishing a new long-term monitoring programme of three groups of silky sifakas in Marojejy National Park (Camps 2 and 3) and Anjanaharibe-Sud State Reserve (Camp Indri)," Patel says. This past July, his team was excited to discover the Camp 2 group's sole remaining adult female with a newborn infant – a promising sign for a silky community that's dwindled to a mere four individuals. The information Patel and his fellow researchers have collected about silkies is all the more impressive considering the physical and logistical challenges of finding and following the lemurs in their rough rainforest haunts. To keep tabs on a target population, the team must identify which trees the silkies bed down in each evening, and then a tracker hoofs it back to the spot well before dawn to begin following the group once it commences its wide-ranging daily foraging rounds.